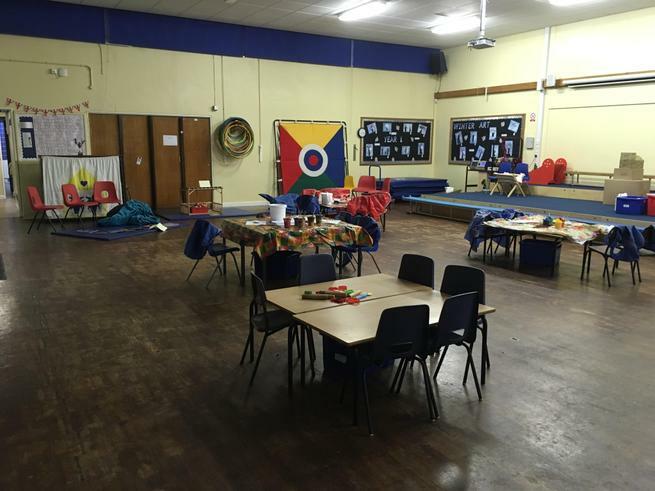 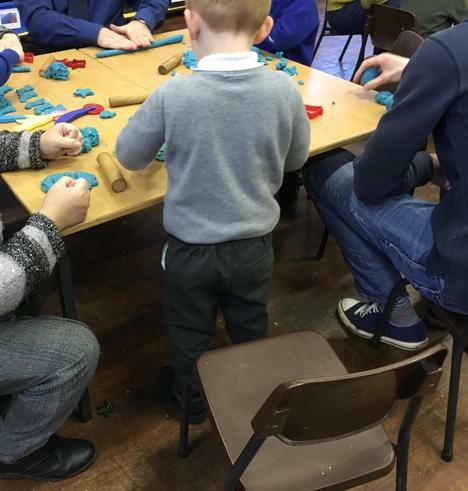 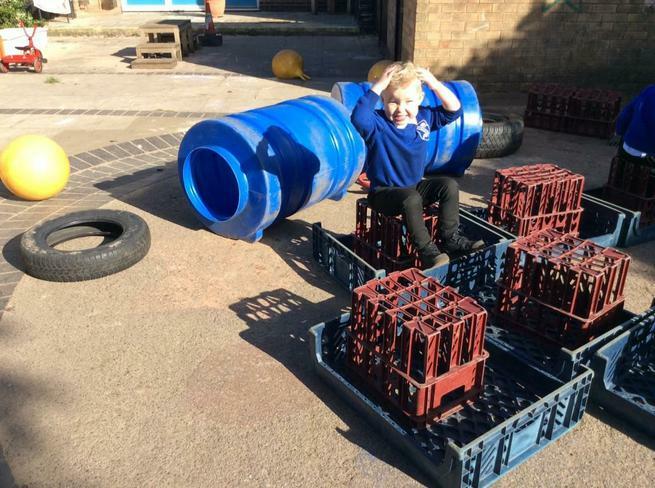 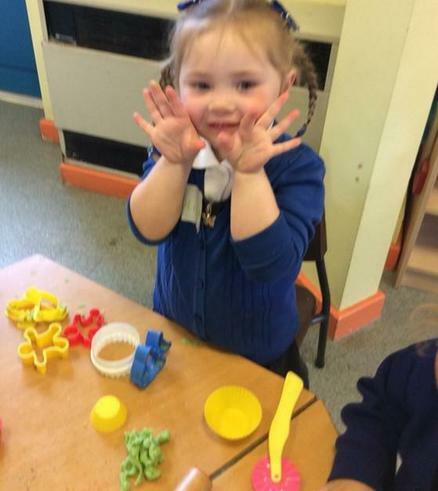 If you have any questions or queries please see a member of Nursery staff who will be more than willing to help you. 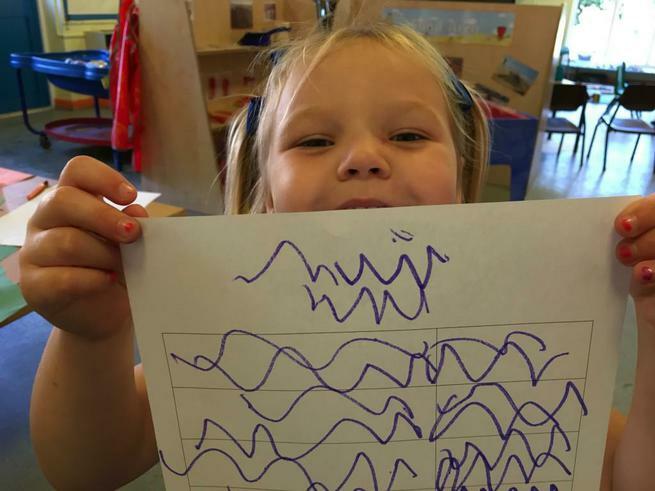 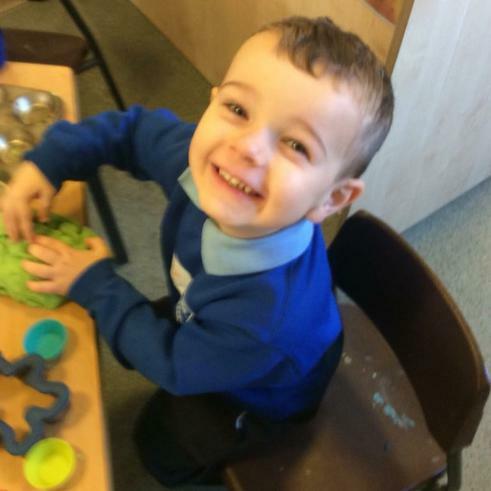 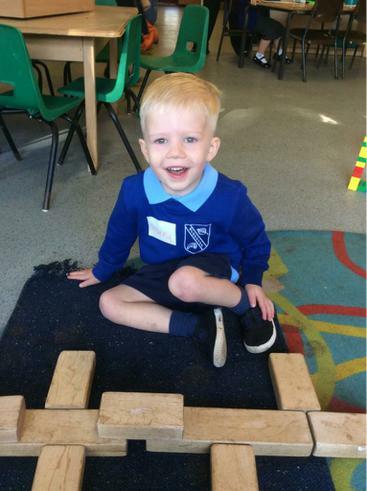 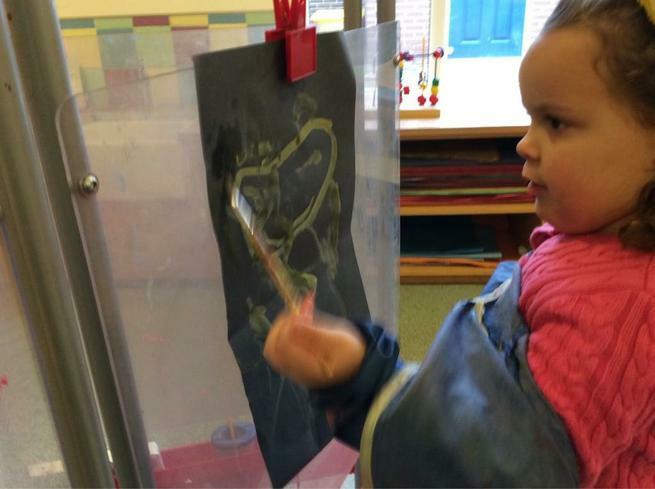 In Nursery we are very excited! 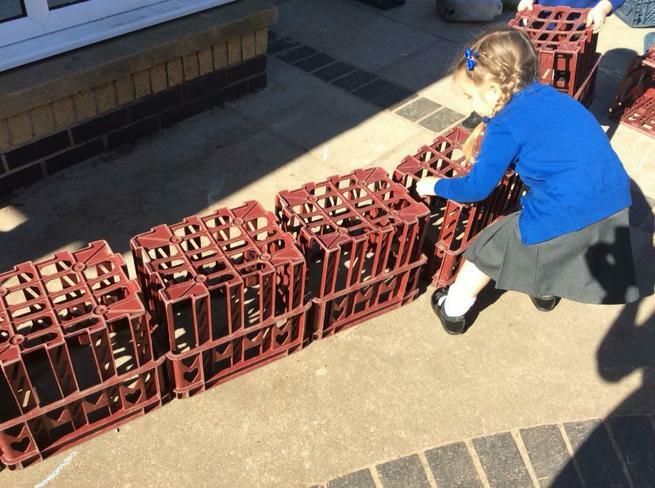 We have discovered some snails eggs in our bug hotel! 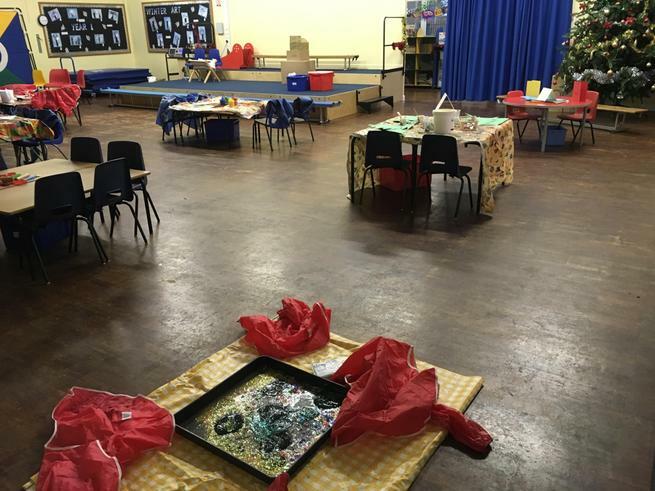 Keep checking back for updates - we can’t wait to see what happens next! 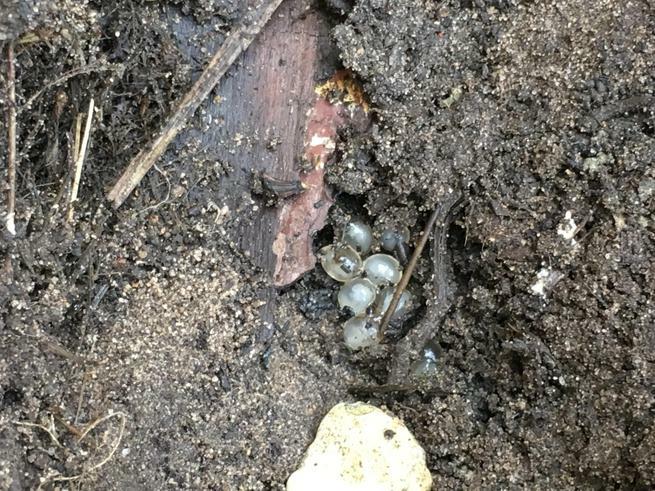 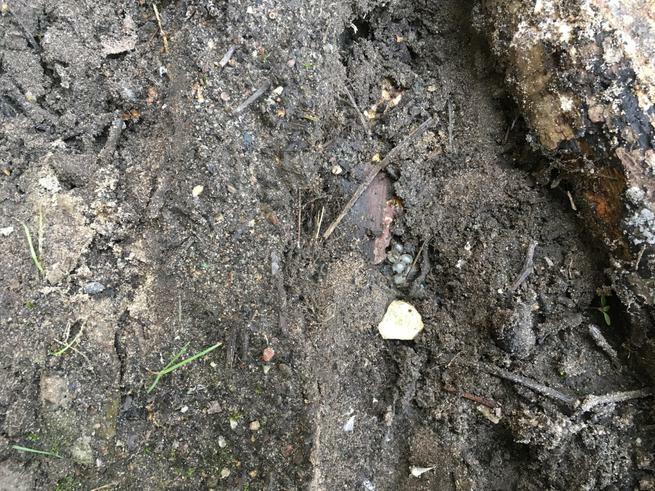 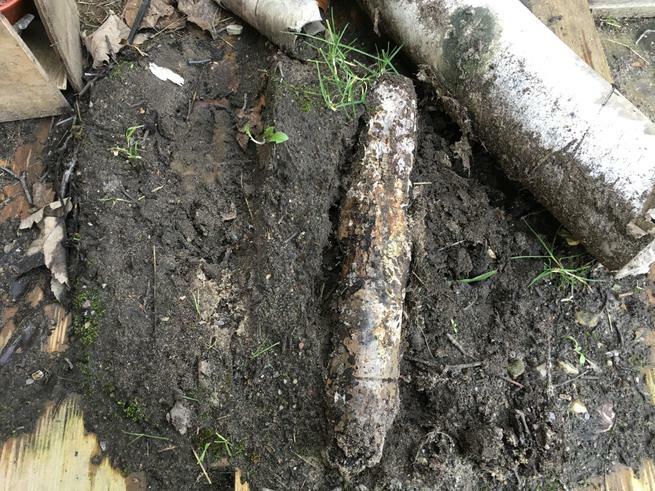 25.2.19 - Today we discovered a slug near the eggs. 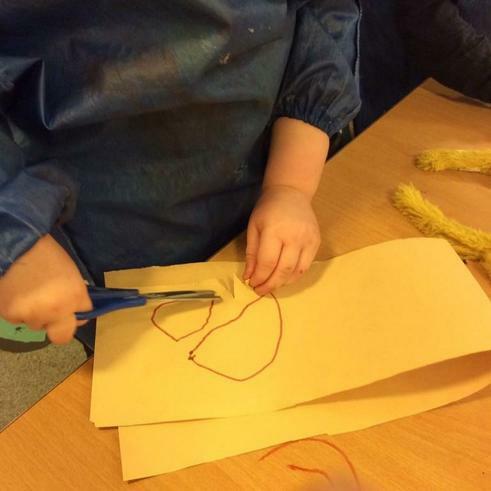 We did a little bit more research and have found that slugs eggs look similar to snails eggs. 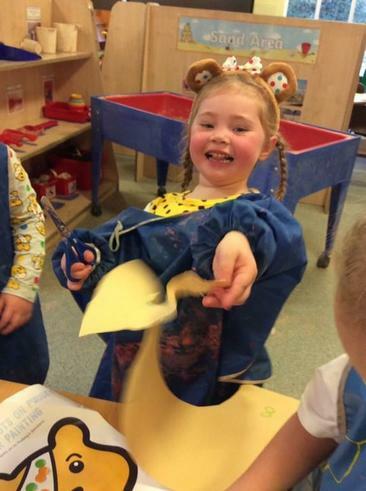 22.2.19 - Miss Radley popped into Nursery over half term to check on our eggs. 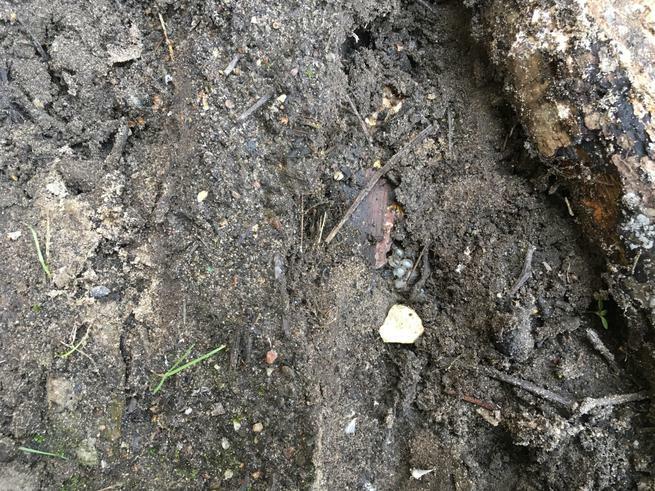 They continue to look a little darker and are safe and sound. 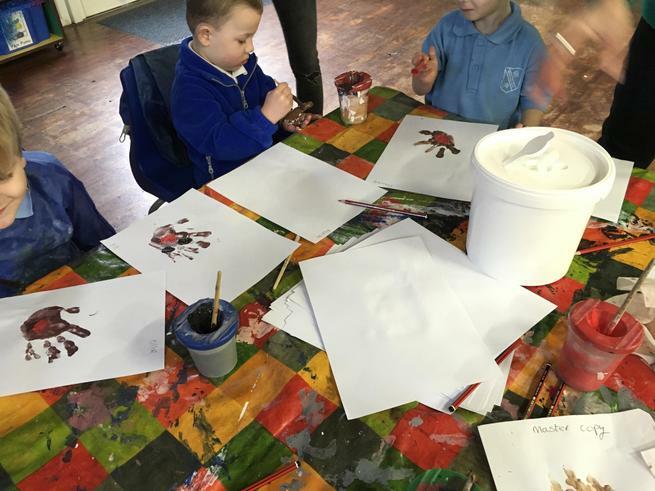 14.2.19 - The eggs looked a little darker today. 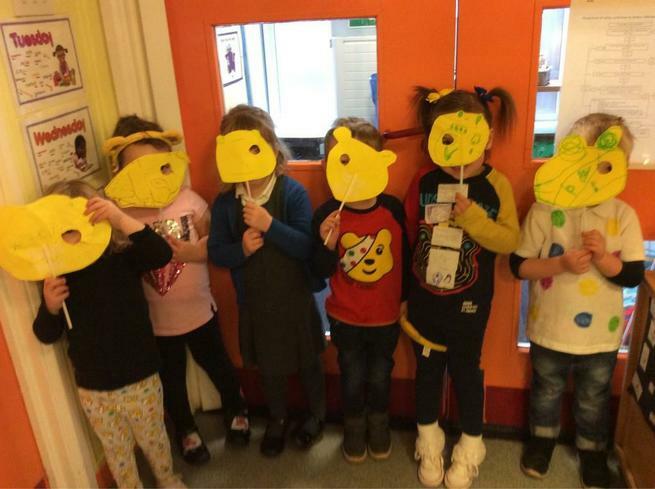 Miss Radley and some children researched on google again. We have discovered that snail eggs do get darker as they develop over time. 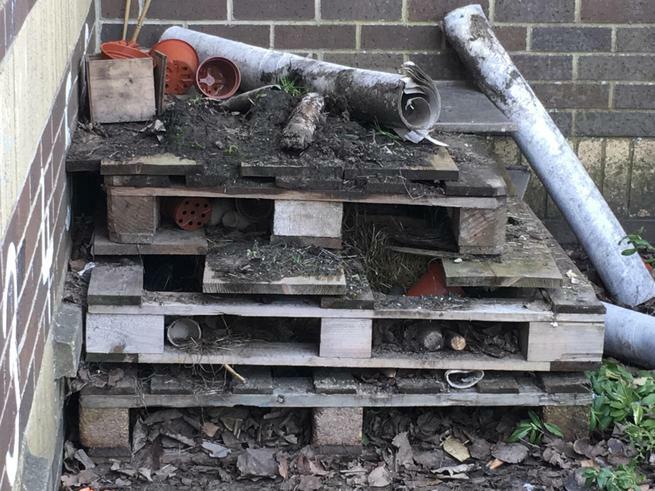 13.2.19 - eggs discovered in the bug hotel by the children. 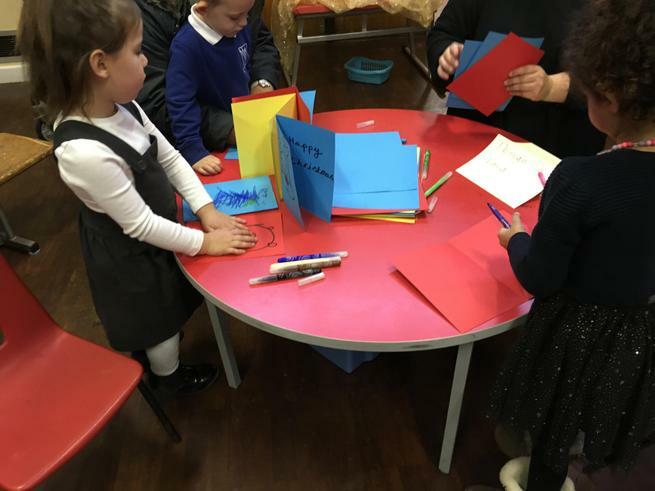 Miss Radley and the children use google to find out what they are. 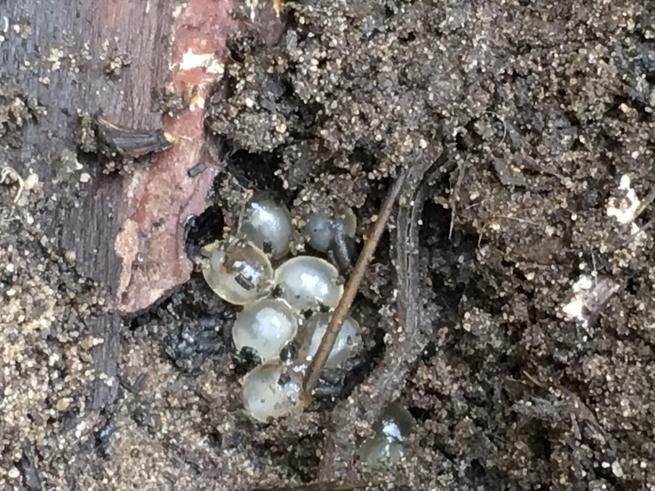 They discover that they are snail eggs. 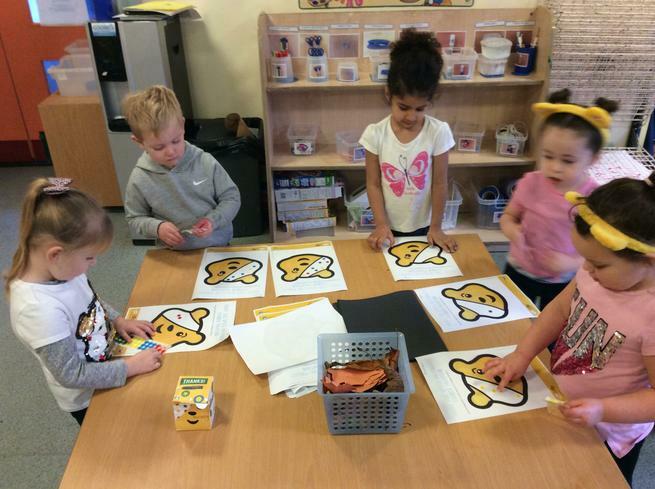 We talk in our groups about how important it is that we don’t touch the eggs. 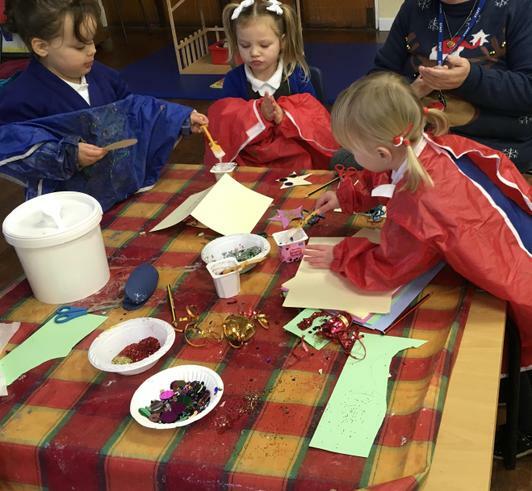 Thank you to everyone for supporting our Nursery Christmas workshops this year. 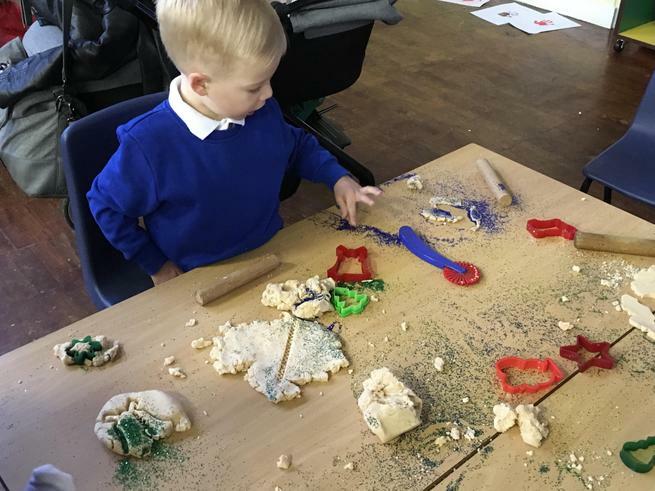 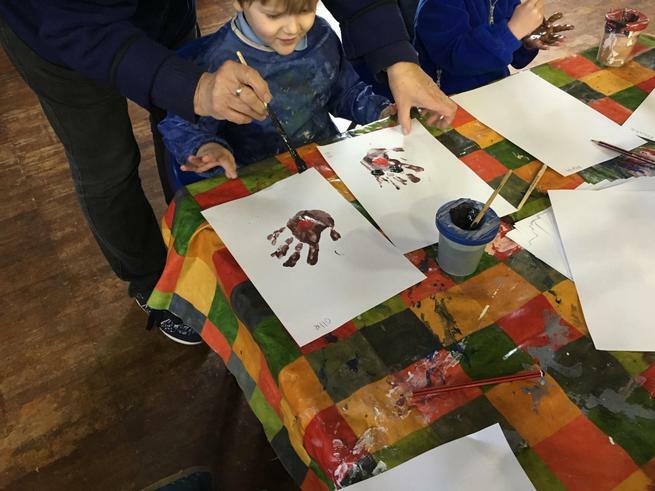 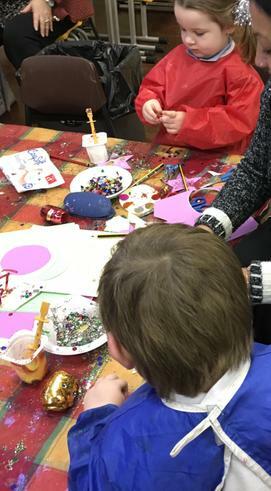 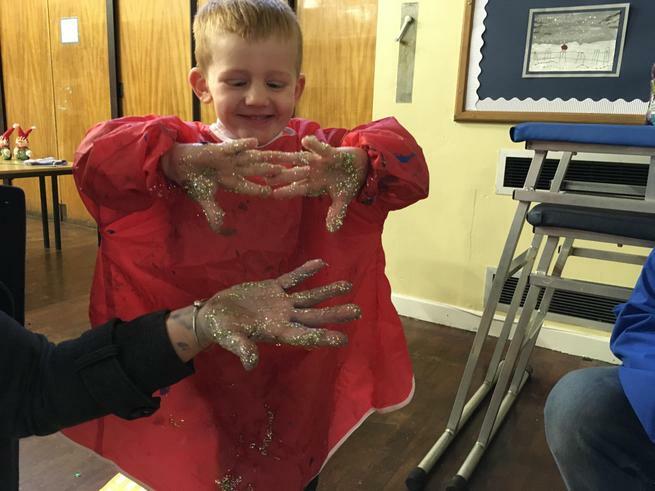 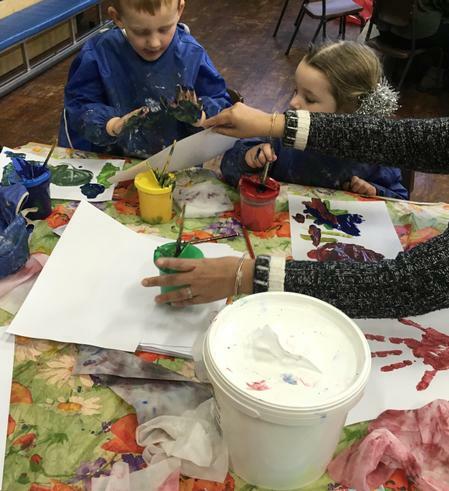 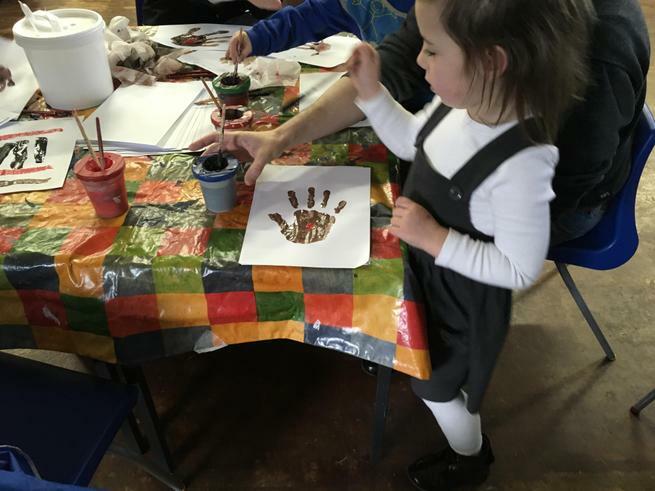 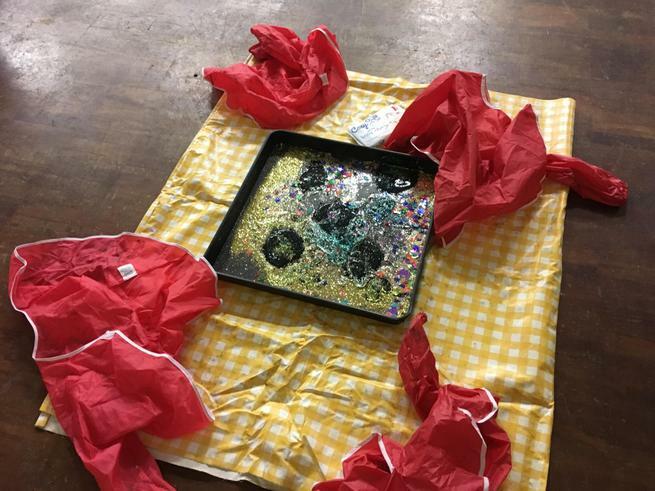 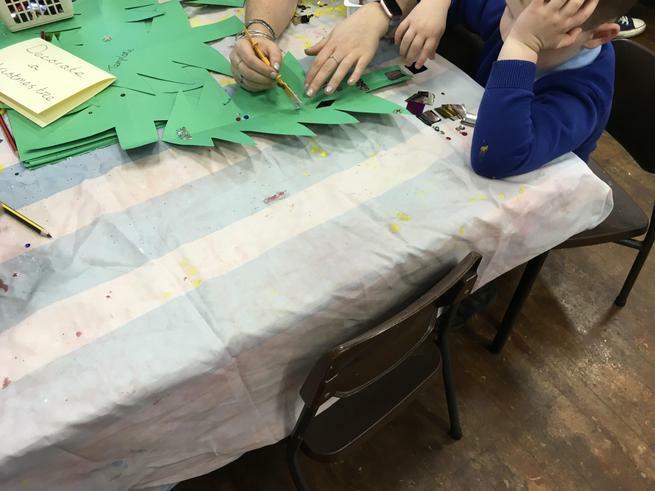 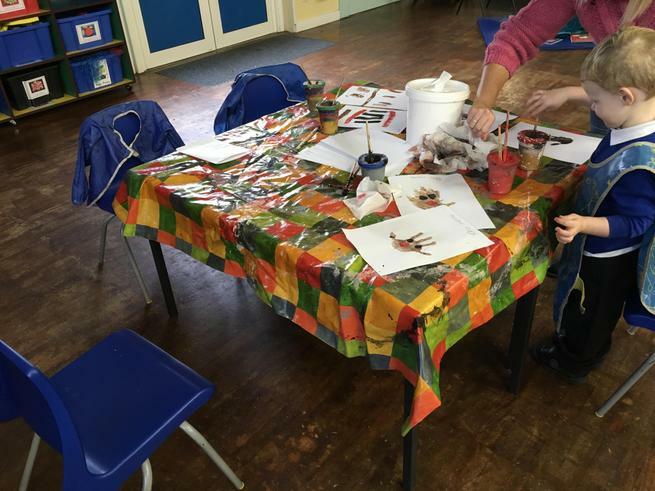 The children all enjoyed themselves and it was lovely to see so many adults getting their hands covered in paint, glue and glitter! 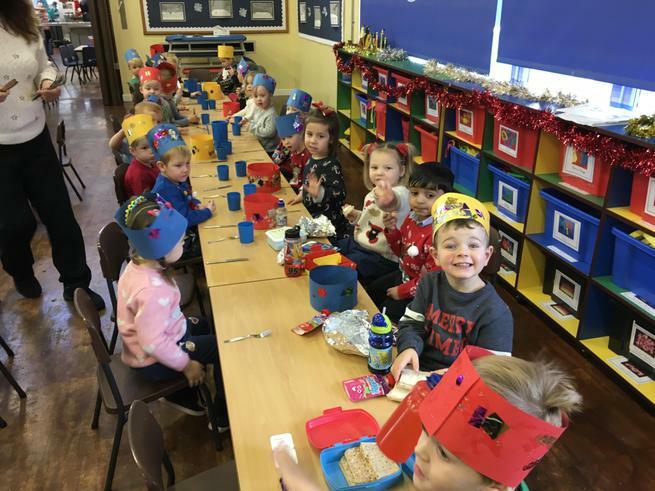 We all made hats to wear for our Christmas dinner and enjoyed it very much! 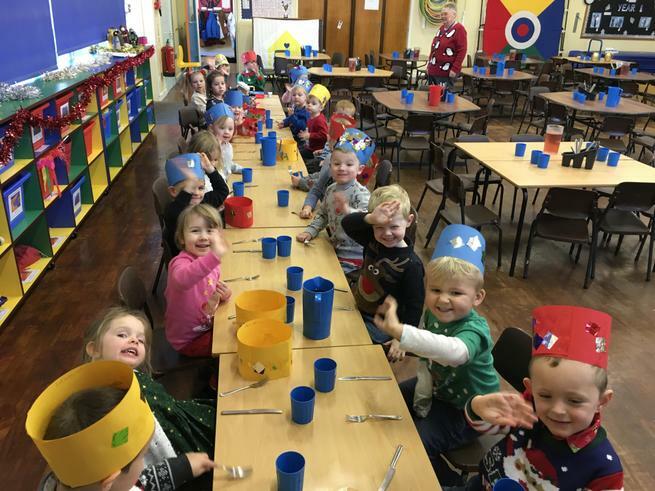 We are looking forward to our Christmas parties this week! 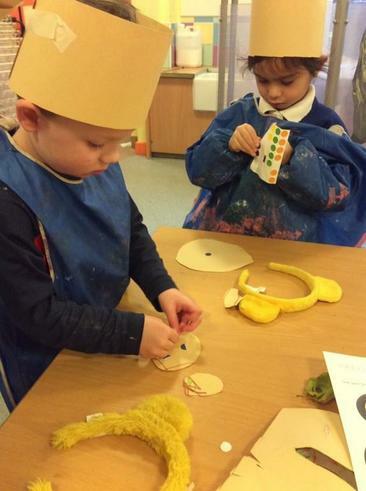 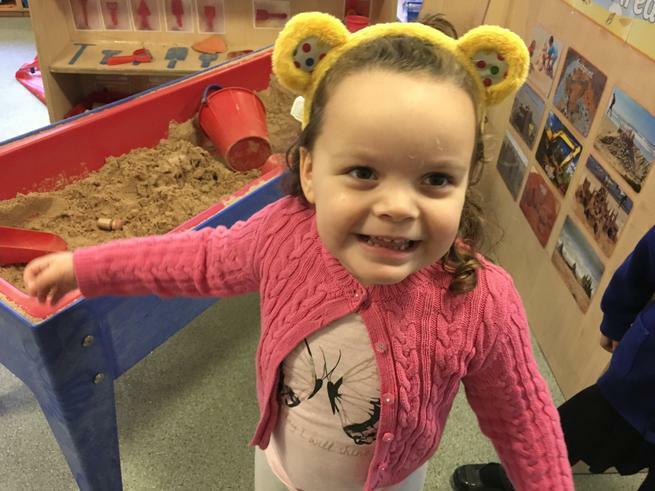 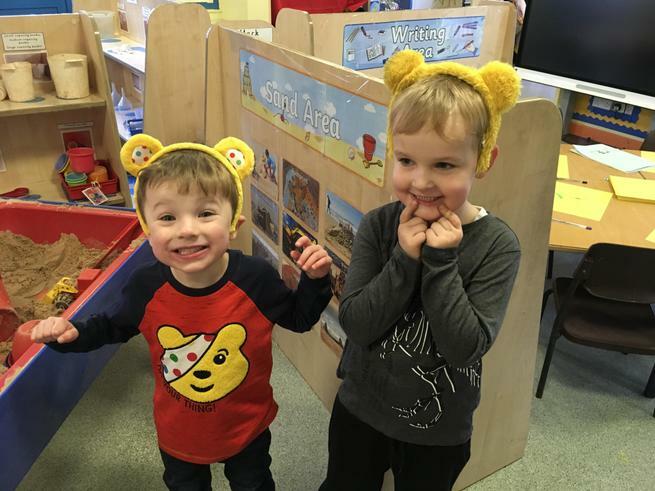 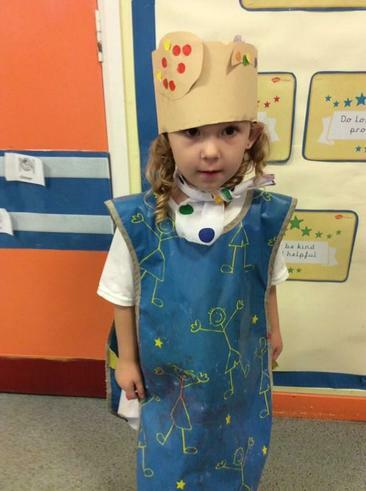 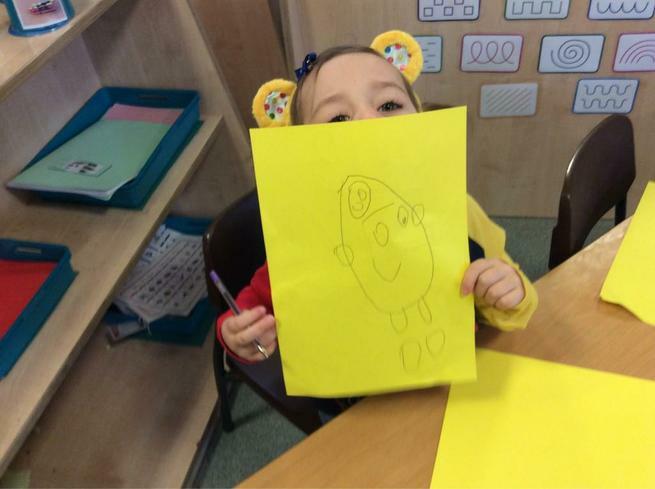 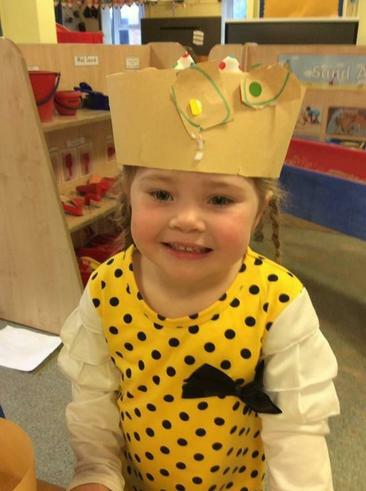 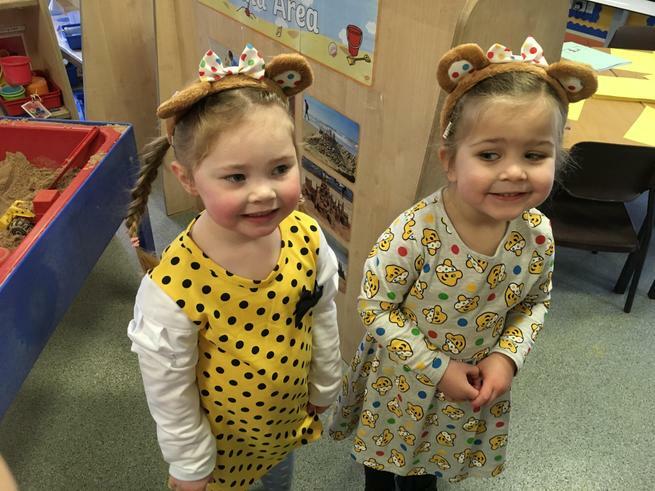 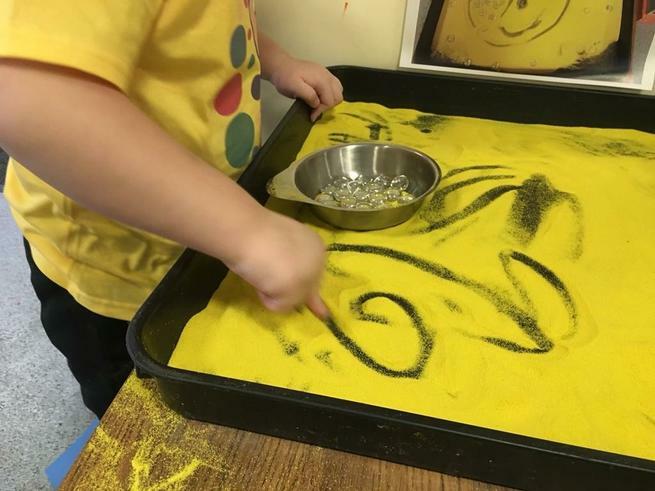 This year we had 2 fun days in Nursery to help raise money for Children In Need. 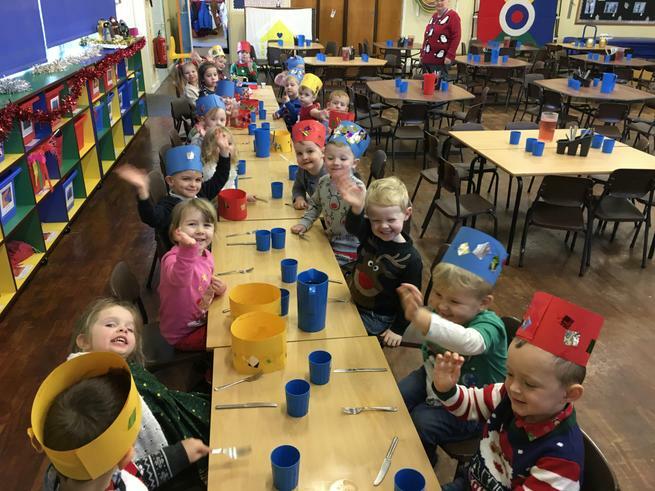 The children and adults all looked fabulous and had lots of spotty fun! 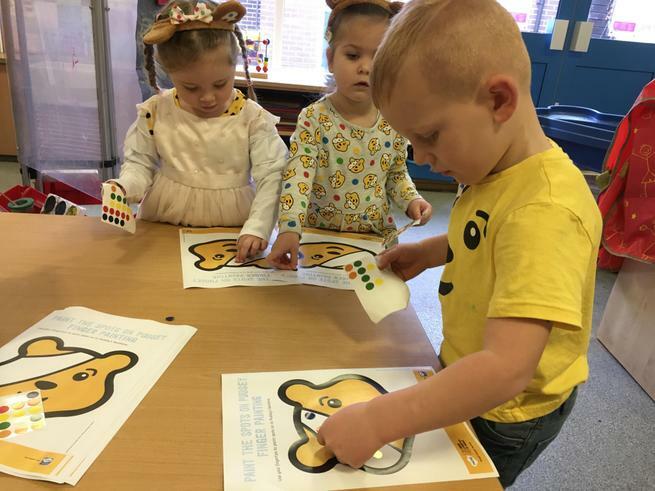 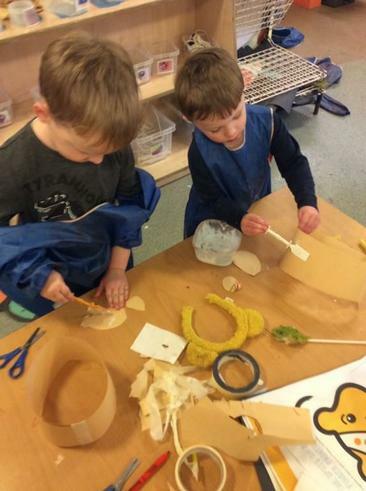 We put stickers on Pudsey, made our own masks and hats, drew pictures of Pudsey, went on spot/circle hunts and made marks in yellow sand.